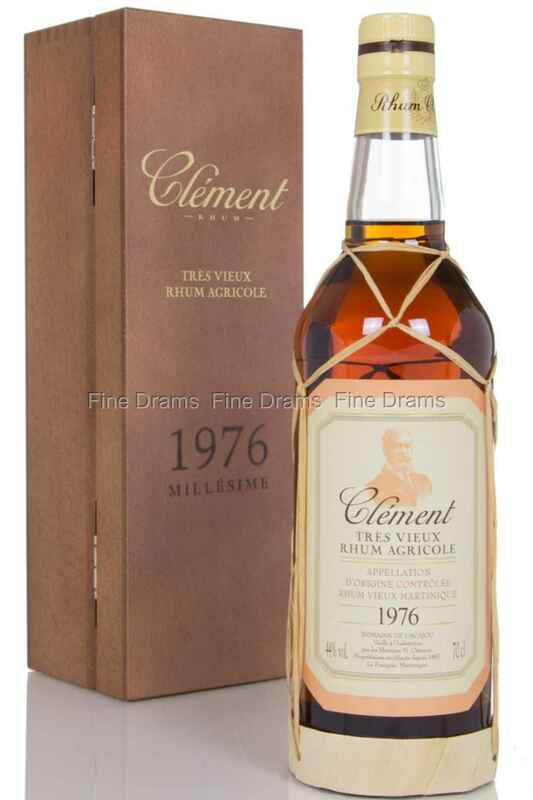 Another fantastic vintage Rhum Agricole from one of the best rum distilleries on the planet, Clément! Agricole is a marvelous style of rhum, largely produced on Martinique, which is made out of the fresh pressing of sugar cane, as opposed to molasses or other sugar by-products. Much of this cane is sourced from Clément’s picturesque 43 acre plantation. This production is known to give the rhum an aromatic, slightly grassy quality. This rhum has been aged for a little under 20 years in large oak casks in Clément’s cellars, imparting a wonderfully intense flavour. On the nose the drinker should expect waves of sweet, canned fruit aroma, with a deep nuttiness and succulent cane note. The palate serves up the more fruit: pineapples and mangos, with a good dose of woodsmoke, oaky dried fruits and nutmeg spice. The finish is replete with toffee and cane sugar notes, with a lingering spice. Rhum Clément have once again met their own high expectations.